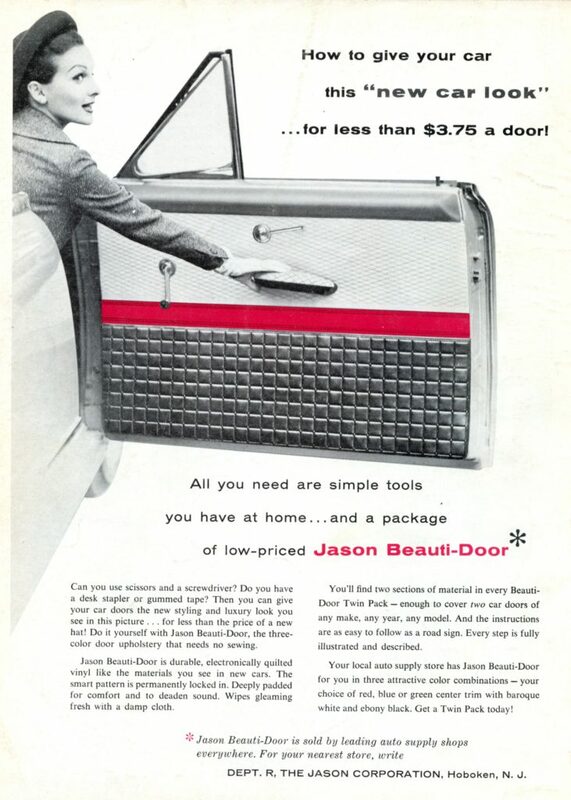 New Archive Material — Make your car more “Beauti-ful”!!! More fun stuff from the ‘advertisements’ section of the Archive. If only you still buy this for $3.75!!! 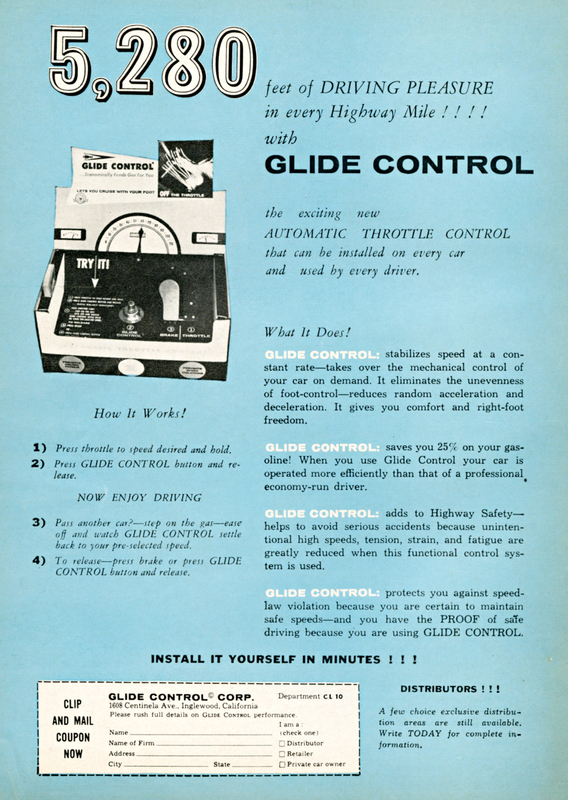 One of our volunteers Nick Novack was scanning some material at the weekend and came across this 1960 advertisement for the ‘Glide Control’ system, which was I presume the forerunner of what we now ‘Cruise Control’. I guess nothing is really new!!! I do love the line that says “Install it yourself in minutes. ” I wonder, did it really work? 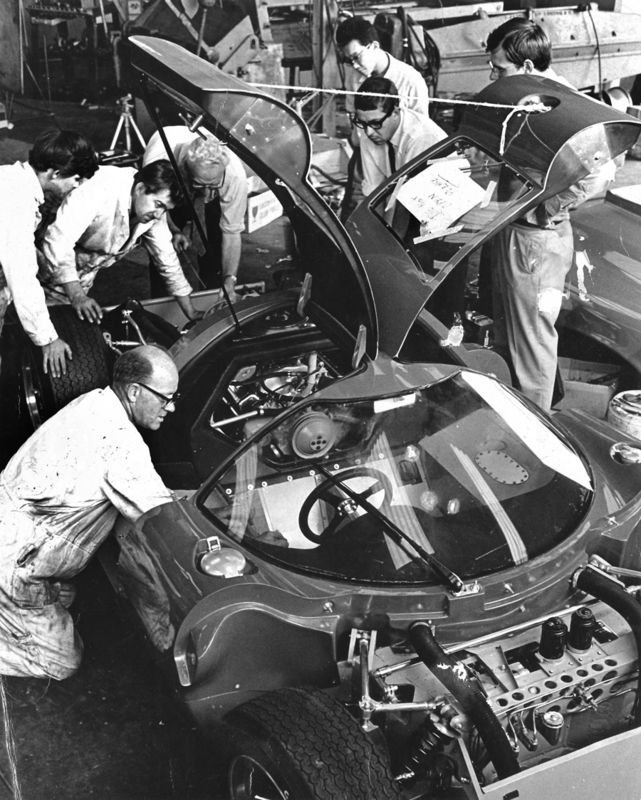 Working on some research for a publisher we came across this really interesting press shot of mechanics working on a Lola T70 Coupe at the Lola works in Slough, England. I say ‘Press Shot’ as I question if there really would have been seven mechanics working on a car at one time! I think this photo was taken around April of 1967 but can’t be sure. If anyone can help with and information on when this might have been taken, the car, or who any of the people in the image are, please do email us. It would be nice to put some names to the faces! 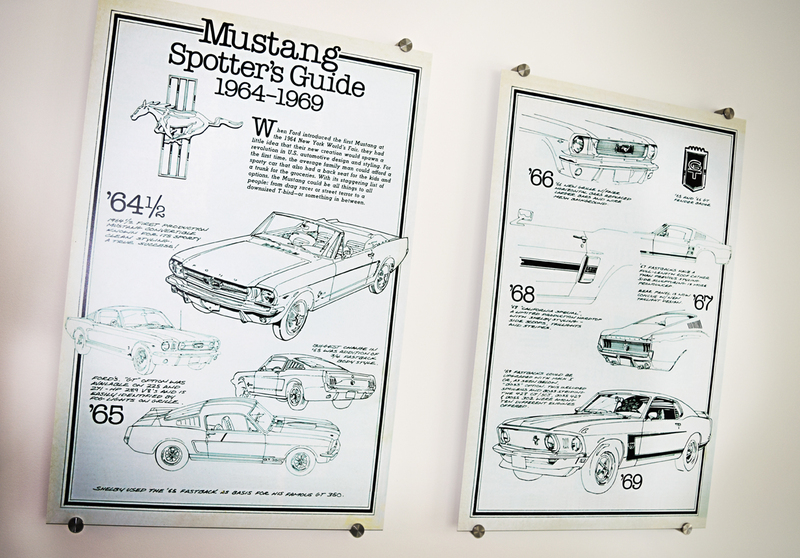 We came across this very interesting image hidden in our archives. 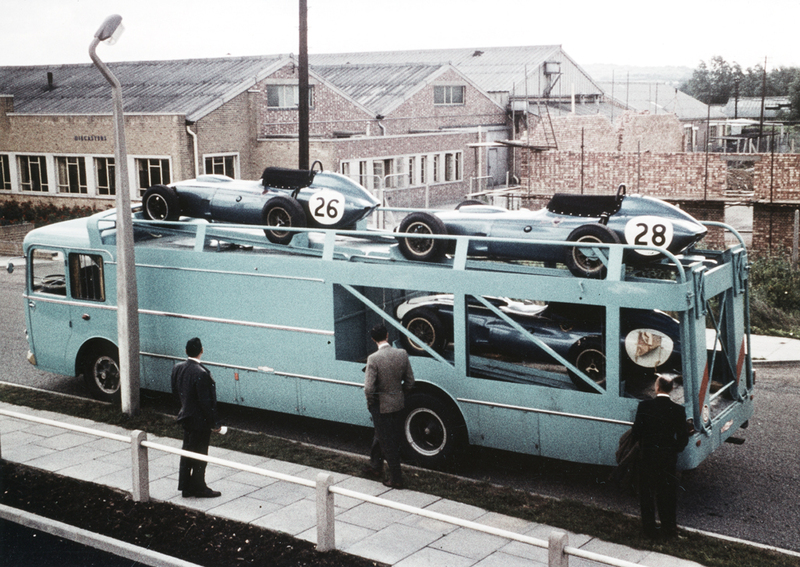 It shows the Scarab race team transporter parked outside the Lotus factory in Cheshunt Hertfordshire. We think the photo was taken in mid 1960 but can’t be sure exactly when. The 1959 Fiat truck based Bartoletti transporter was commissioned by Lance Reventlow to ferry his Scarab racecars (first American Formula 1 cars built) around Europe during the 1960 and 1961 seasons and was briefly used by Team Lotus before later passing to the Alan Mann Racing team. The Scarabs didn’t have a particularly good season in 1960, and when the engine formula rules changed to 1.5-litres in 1961 they had nowhere to race. 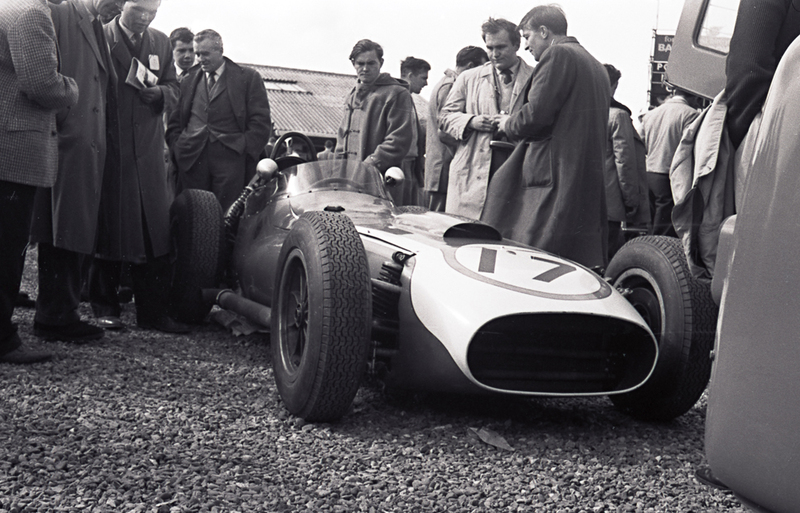 The best result for the Scarab F1 team in 1961 was at the International Trophy race held at Silverstone in May. Usually run for Formula 1 cars, in 1961 the race was open to cars running in the newly devised, but short-lived Inter-Continental series. 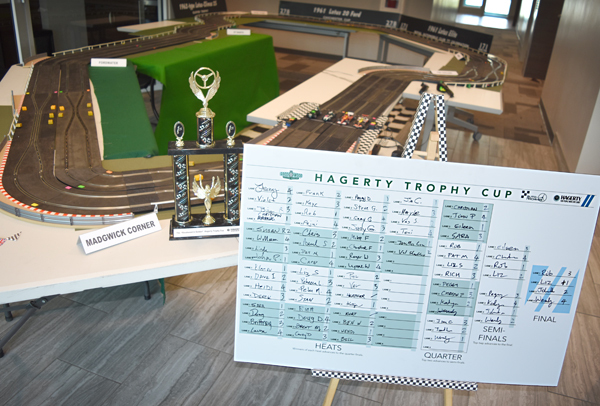 The #17 Scarab was driven by Chuck Daigh to seventh place. (image copyright Peter Darley). 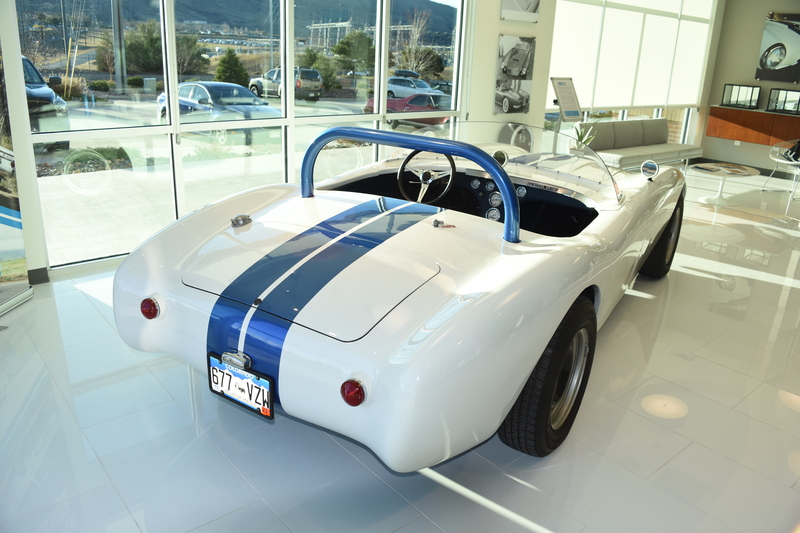 With a little of Italian design houses Bertone, Farina, Vignale, and even Touring in this car, it may come as a surprise to learn that the design and execution of the Byers SR-100 is all-American, and in fiberglass. 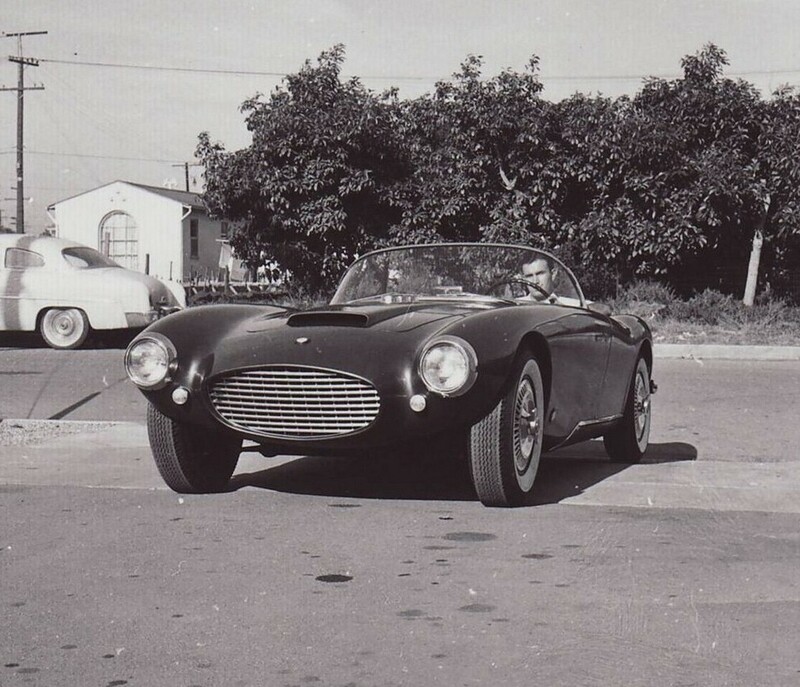 By late 1955 Jim Byers of El Segundo, California had considerable experience in working with the new “wonder-material,” fiberglass, and accordingly, when he decided to go into limited production of a sports car body, he felt that only this material could offer the selling price which most of his po- tential market could afford. Many consider that his Italian-inspired Byers SR-100 that actually looks like it was influenced by the BMW 507 represents one of the finest designed American sports car bodies of the 1950s. The Byers SR-100 body was designed to fit a wheelbase of 100 inches and a track width of 56 inches and was intended primarily for the special builder who wanted to use easily affordable American passenger car components. Obviously, the answer to building an inexpensive sports car was to use a domestic engine and chassis, but other benefits of this route besides low cost were easily accessible parts, near overwhelming performance, and handling characteristics that could match or exceed those of most European sports cars. 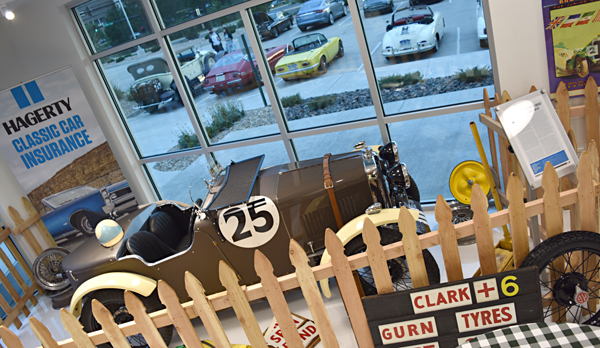 The often difficult problem of finding a windshield for a ‘Special’ build was solved by designing the body cowl to receive a 1955 Corvette windshield assembly. This gave a high-quality finished touch which many “specials” of the day often lacked, and was surprisingly inexpensive. 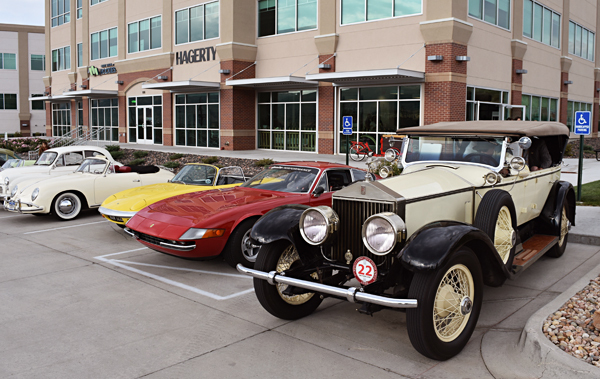 Geordie Prodis has owned the Byers SR-100 on display at Hagerty in Golden this month for over 20 years. This very original car retains its historic 365 cubic-inch Cadillac V8 (now fitted with a single 4-barrel Edelbrock carb), 1954 GM Chevy 4-speed Hydramatic automatic transmission and all the running gear that it was originally built with back in ‘57. 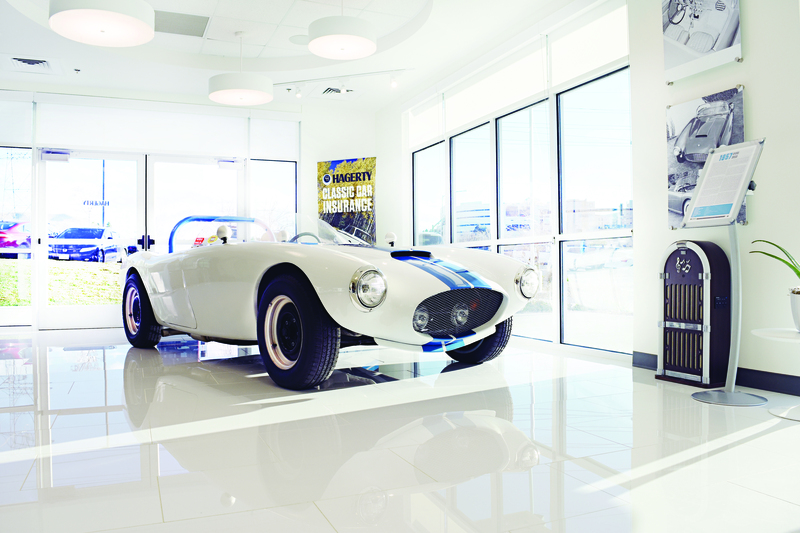 The car was built in 1957 using a modified 1940 pre-war Ford chassis. 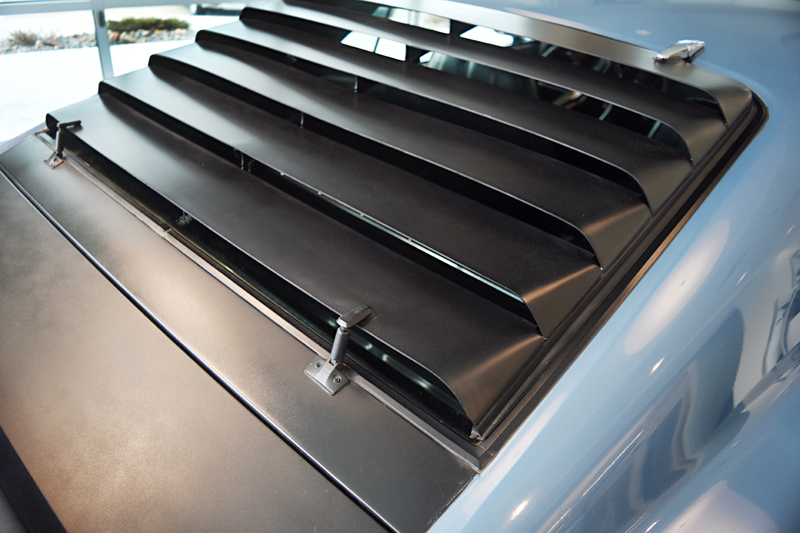 This extremely ridged tubular frame may not have been the most sophisticated platform but it fitted the SR-100 body dimensions perfectly. Unusally this car was fitted from new with a Ford Tunderbird windshield. 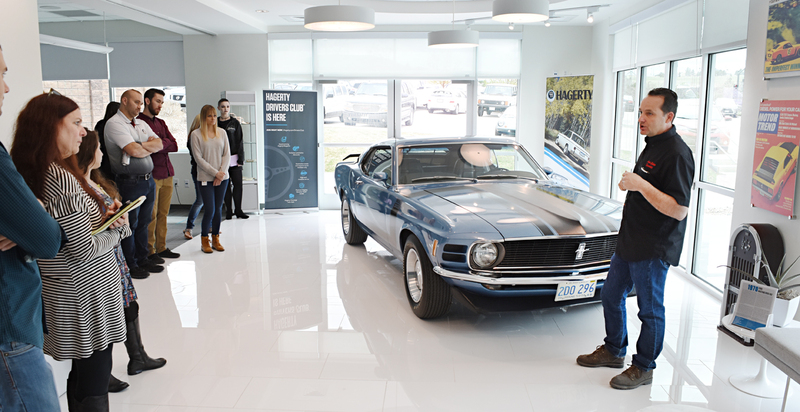 The front end sports a solid beam axle and leaf spring which can be seen through the wide grill opening at the front of the car. The front end has been rebuilt, as well as the trans- mission, steering box and column, and the original exhaust has been replaced with tuned headers run- ning out through side pipes just behind the doors, which have been bolted shut. The rear end of this particular SR-100 was built around a 1950 3/4-ton Pontiac truck, but cars built by other customers had a wide range of differing rear end specifications. 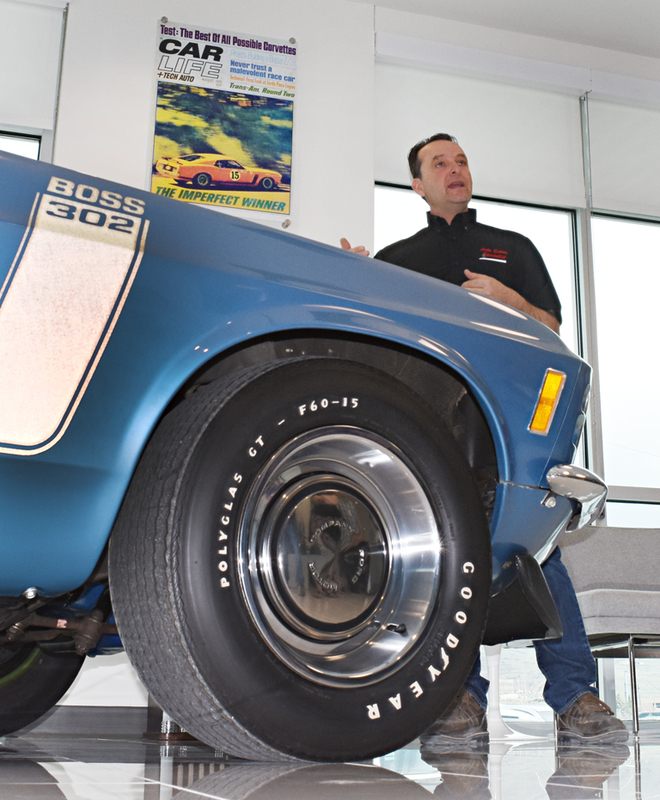 When it was restored in 2007 the Prodis Byers received some mild upgrades to improve driver feedback and safety. 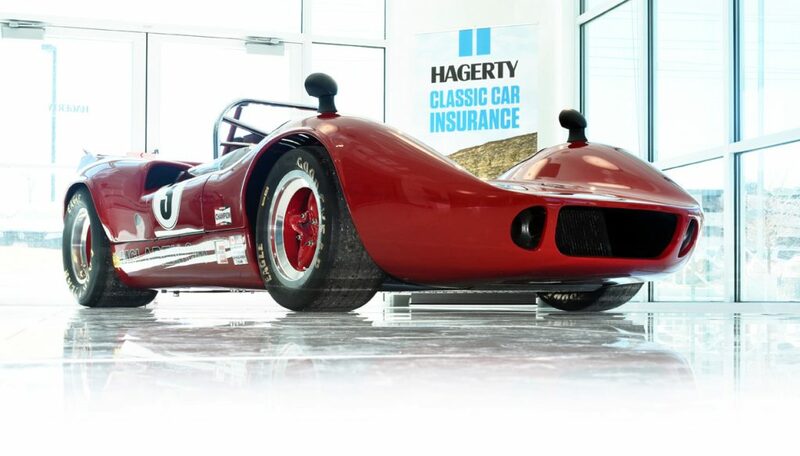 The fiberglass body which some people think looks similar to the British designed AC Ace and its cousin the Shelby Cobra, appears to even share some curves with the Italian built Siata 208. The surface finish and integral strength of a body coming out of the Byers shop back in the mid-50s was outstanding by any stan- dards and has stood the test of time well. 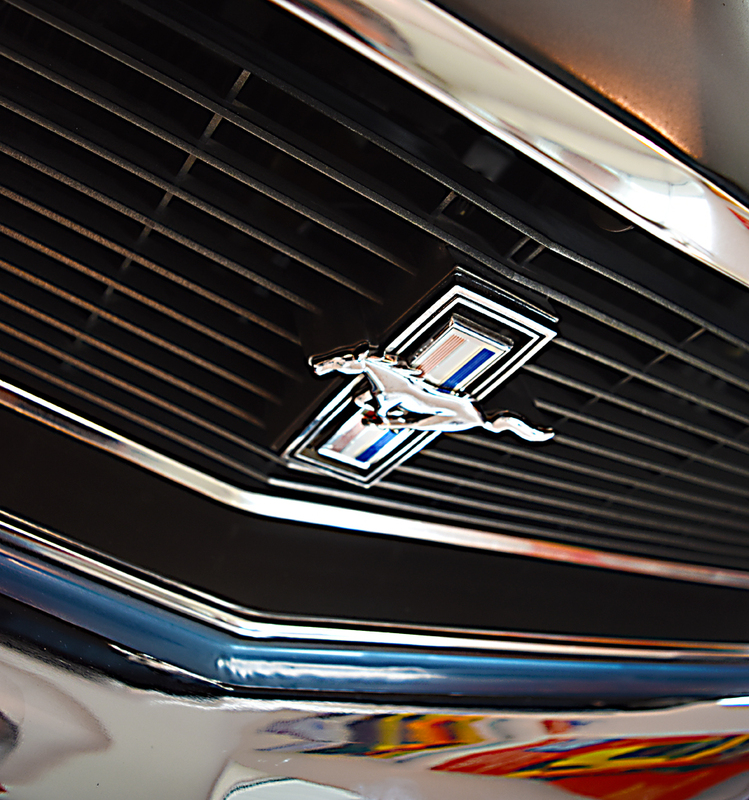 The body required very little major preparation prior to paint- ing for it’s 21st century restoration. 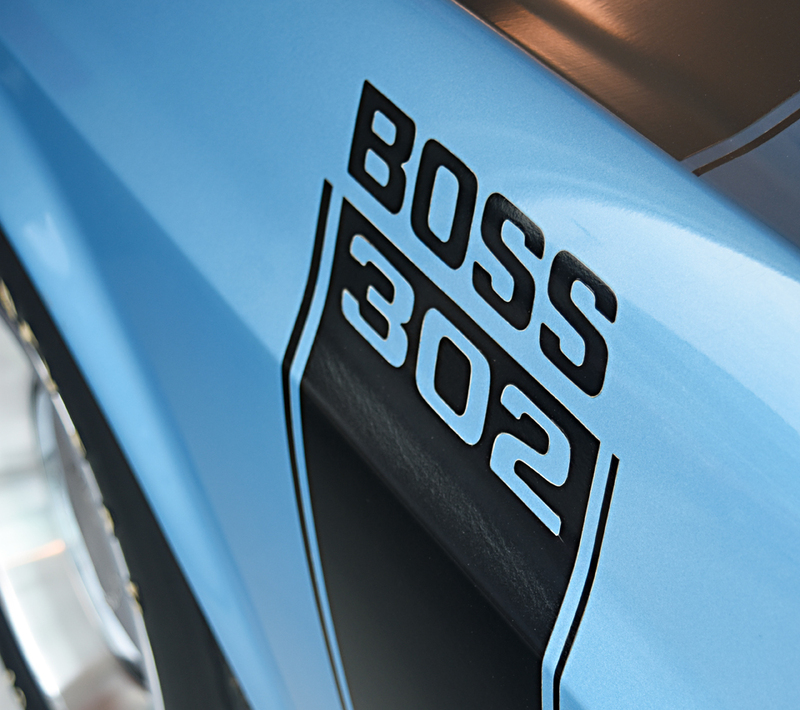 The white paint with blue racing stripes chosen by Prodis gives a nod to Cunningham, and a small air dam up front is the only modification to the stock body shape. Back in 1957 all this added up to a very smart yet practical sports car body, which started as low as $395 according to the ultra rare 8×6-inch, 4-page two-colour Fiber-Craft brochure that was produced for 1957. 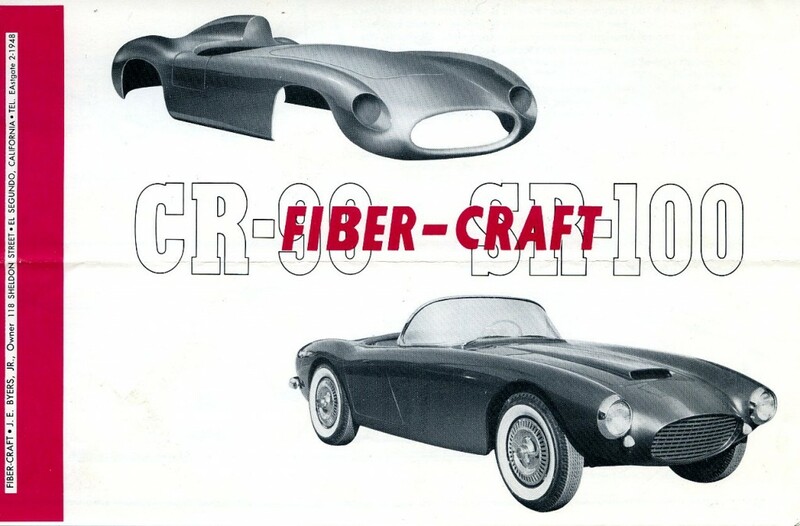 The brochure and envelope, showed the name of the company as “Fiber-Craft” and the pro- prietor as as J. E. Byers of 118 Sheldon Street, El Segundo California. This is the first address Jim Byers worked and lived at. 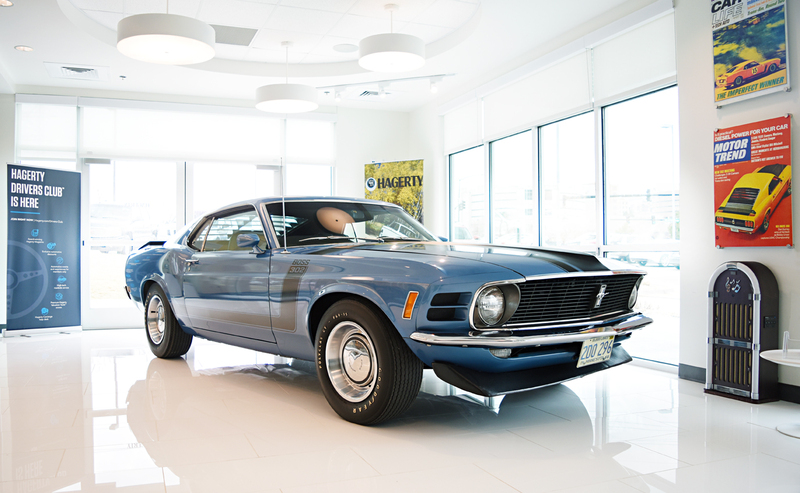 Within a year, he would expand to a second location about a block away at 607 E. El Segundo Blvd, El Segundo, California. The red M1C is owned by Denver McLaren afficianado Harry Mathews. 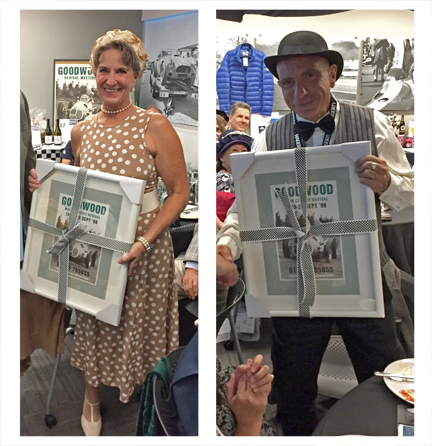 It was the first car in his McLaren collection which at one time numbered 18 cars, and was originally owned and run by Jerry Hansen of Minneapolis. 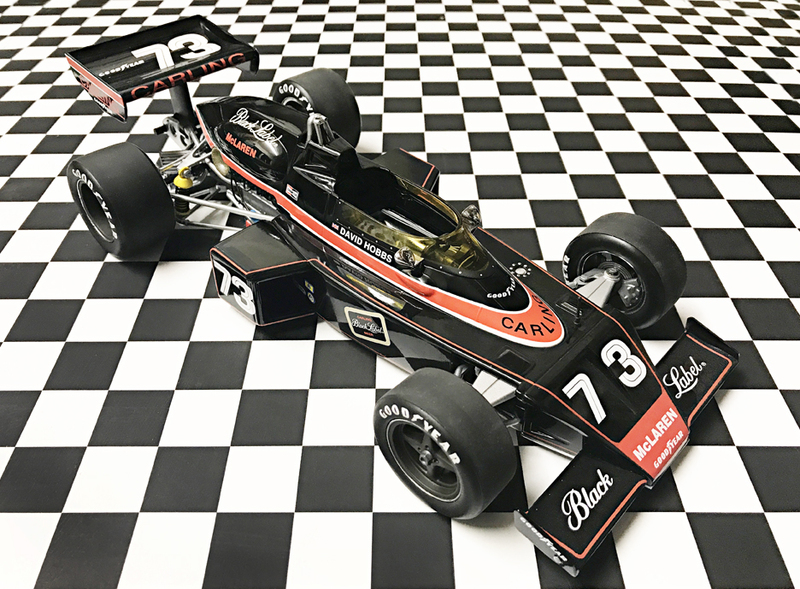 He entered it in the 1967 Can-Am series and it made its debut in the first race of the season at Road America in Wisconsin. That race also marked the first outing for Team McLaren’s two new M6A car. 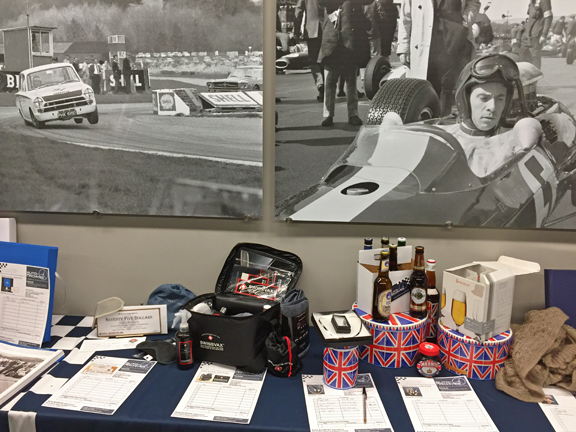 This would be the first episode of what became known as the “Bruce and Denny Show”, where either Bruce McLaren or Denny Hulme would win every race of the championship. A field of 32 cars started the race at Road America, no fewer than 17 of them various different models of McLaren; M1C drivers that year included Skip Scott, Peter Revson, Chuck Parsons and Bob Bondurant. For 1968 it was a case of more of the same for McLaren and the M1C, Canadian store magnate George Eaton in a car which was certainly becoming outdated, drove to an impressive third place at Laguna Seca, helped in no small part by torrential downpours, to give the M1C its highest placing in a Can-Am championship race. 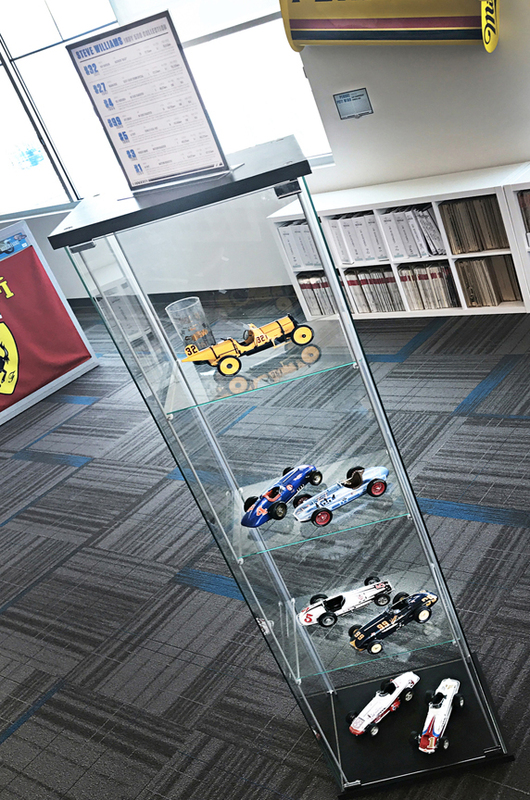 Incredibly, the M1C was still going strong in 1969, and a trio of customer cars raced confidently and competitively throughout the season. The spaceframe chassis era might finally have ended, superceeded by the aluminium monocoque, but at McLaren it certainly enjoyed a long run.